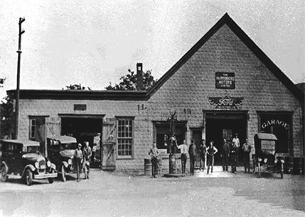 The O'Regan family involvement in the automobile business dates back to 1915 when S.E.O'Regan started in the business. S.E. went on to operate dealerships for Ford, then Chrysler, and in later years Chevrolet and Oldsmobile. Sons Stephen and Paul O'Regan worked at the family dealerships while growing up in Parrsboro in the 1940's and 50's. However, in 1956 the newly constructed Trans Canada Highway bypassed Parrsboro causing the O'Regan brothers to pursue their futures elsewhere. Stephen went on to pursue a degree in engineering and Paul a degree in education. In 1974, Paul took a leave of absence from teaching and rented a gas station at corner of Thistle and Maple Street in Dartmouth and started selling and leasing used cars. It was a lean time, with only two employees, former students of Paul's from Dartmouth High, and a pay phone their only telephone. However, times were not lean for long, by 1981, Paul's corner lot was selling over 700 cars a year and it was time Stephen left his engineering position and joined his brother in the growing business. In 1985, Paul and Stephen bought Scotia Chev Olds, now O'Regan's Chev Olds Cadillac on Robie Street in Halifax, transforming their successful team of twelve to an overwhelming team of 108. Managing a team this size would be crucial to their success and so O'Regan's became one of the first dealerships in Atlantic Canada to run their own human resources department. Their next venture came about in 1987 with the opportunity to purchase a Toyota franchise, now O'Regan's Toyota Dartmouth. They secured the Lexus franchise in 1990, along with a second Toyota franchise in Bridgewater, N.S., now O'Regan's South Shore Toyota. Toyota East was added in 1994, O'Regan's Subaru in Bridgewater in 1995 and O'Regan's Hyundai in Bridgewater in 1996. O'Regan's debuted Kia for the HRM in 1999 with O'Regan's Kia on Wyse Road in Dartmouth. Kia started with only two models and has now expanded their offering to include everything from compacts to SUV's. In the fall of 2002, O'Regan's purchased Halifax Nissan and Infiniti Halifax, now O'Regan's Infiniti and O'Regan's Nissan on Kempt Road. In the spring of 2003, O'Regan's opened a Used Car centre on Kempt Road and completed the construction of their state of the art O'Regan's Lexus and Toyota Halifax facility, also on Kempt Road. In February 2004, O'Regan's acquired Isnor Motors. 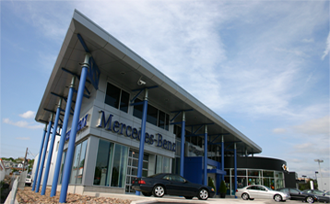 In the fall of 2004 they acquired the smart franchise and opened a new facility, O'Regan's Mercedes-Benz and smart Centre in the spring of 2005. O'Regan's added two dealerships to the group in the summer of 2006, Dartmouth Hyundai in May and Heritage Nissan in June, now O'Regan's Dartmouth Hyundai and O'Regan's Nissan Dartmouth. 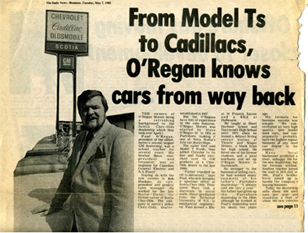 In 2008, O'Regan's opened the O'Regan's Auto Mall. The first of its kind in Canada, this facility houses four dealerships housed under one roof; O'Regan's Toyota Dartmouth, O'Regan's Nissan Dartmouth, O'Regan's Dartmouth Hyundai and their first location for O'Regan's house brand of used vehicles, O'Regan's Green Light Used Cars. O'Regan's was recognized in 2008 by the Eco Efficiency Centre for Excellence in Business for the design of the auto mall. The auto mall's roof, which spans the building is part of a storm drainage system that controls run off to the lakes neighbouring the facility. The auto mall was built with the latest in energy efficient heating, plumbing, cooling and lighting. In 2010, O'Regan's added three brands to our new car offerings including a second Kia, now O'Regan's Kia Halifax as well as GMC and Buick, now home at O'Regan's Chevrolet Buick GMC Cadillac. In 2011, O'Regan's added Scion to our group of companies, now O'Regan's Toyota Dartmouth and Scion. In 2012, O'Regan's added a second Green Light Used Car Centre to our group of companies as well as O'Regan's Wholesale Direct and our first after-market service centre, O'Regan's NAPA AutoPro. In May of 2013, we opened a second Wholesale Direct facility on Kempt Road, O'Regan's Wholesale Direct Halifax. 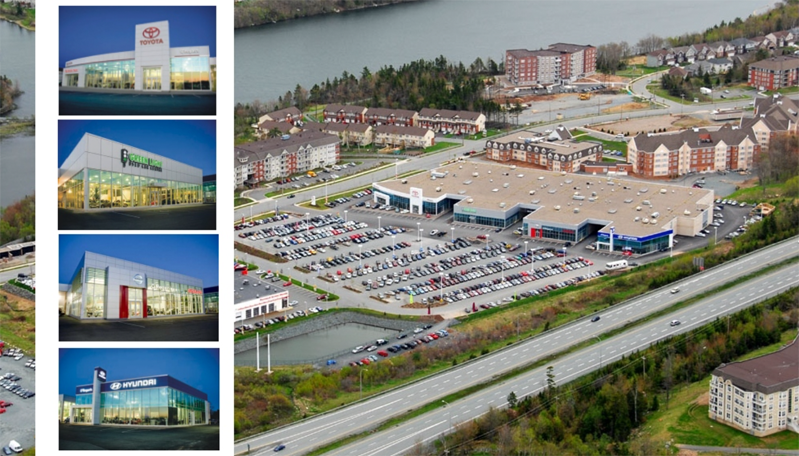 In September of 2013 we added BMW and MINI to the O'Regan's group of companies, located on Kempt Road in Halifax. O'Regan's BMW & Halifax MINI are proud to serve all of Nova Scotia for these two franchises. In October of 2014 we added Hillcrest Volkswagen to our group and are proud to add all of these brands to our product offering. O'Regan's team has now reached over 900 full time and part time employees. We are among Canada's 50 Best Managed Companies, one of Canada's 10 Most Admired Corporate Cultures and the Consumer Choice Award winner for New Car Dealer and Pre-Owned Dealer for Halifax for seven years in a row!